Together these companies teamed up to ensure that the largest high school in the U.S., Evanston Township High School in Illinois, student body 4,000+, has proper coverage. Cobham Wireless has joined forces with a number of organizations, as well as local first responders, to provide Evanston Township High School (ETHS) with a 4G LTE cellular and public safety communications solution. This is based on Cobham Wireless’ intelligent digital Distributed Antenna System (idDAS). 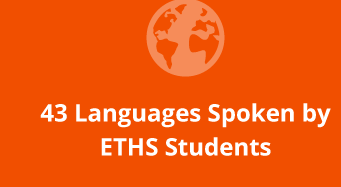 The goal of improving cellular and public safety coverage in ETHS, the largest high school in America under one roof, ensures staff and students are able to communicate rapidly and reliably with Evanston’s police and fire departments in emergency situations, as well as providing quality service and in-building coverage to AT&T subscribers. It also improves both public safety communications and ETHS’s 50 member safety team, which uses AT&T’s ‘Push to Talk’ service. Mary Rodino, CFO, ETHS said that the safety and well being of their staff and students is their primary concern, and communication between emergency service teams plays a major part in this. She added that the project has tackled the school’s connectivity problems. This is probably the first time that a community has banded together in this way, and the project has helped forge closer links between the school, AT&T, local police and fire departments, and the wireless industry. 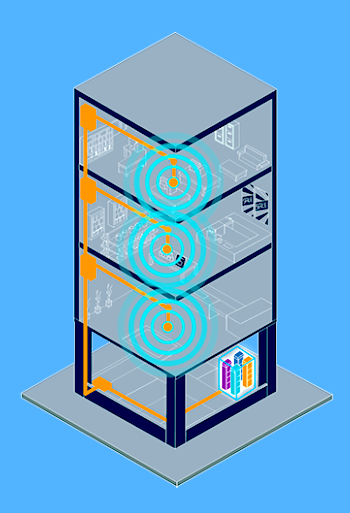 Cobham Wireless worked closely with Radvisory 5G, as well as RFS, Galtronics, Graybar, Chicago Communications, and Fullerton Engineering, to design and deploy the coverage system, which connects to AT&T’s nearby cell tower. All parties contributed equipment and services, with AT&T donating a significant amount of testing and engineering time, so that the system, and subsequent 5 year maintenance, was fully financed at no cost to the school. Warren Salek, AT&T Assistant Vice President, Radio Access Network commented that AT&T is pleased to support this project and has been impressed by the collaborative efforts to achieve better and more reliable cellular and public safety communications inside ETHS. Evanston Police Department Communication Coordinator, Perry Polinski, added that problems over the years with in-building radio coverage to support public safety emergency and first responders necessitated the need to investigate ways to increase coverage within the High School. He continued that they are very pleased with the improvement in radio coverage and it was a pleasure working with the High School and many companies involved. The success of the project sets a benchmark for the upcoming critical public safety broadband network rollout, awarded to AT&T in March 2017 by FirstNet. The idDAS system at ETHS can be easily upgraded to support FirstNet Public Safety LTE, as well as other future band deployments by operators. It currently supports the legacy VHF and UHF public safety systems. Matt Thompson, VP Sales Americas at Cobham Wireless noted that the project has really shined a spotlight on the need for reliable in-building coverage in public buildings in order to keep communities safe. He stated that they’ve provided equipment for the likes of the Pentagon, the 2016 World Cup Stadiums, and the World Trade Center, so they have a strong history in both public safety and cellular deployments. They’re excited to now add Evanston to that list and highlight their next generation digital DAS system.